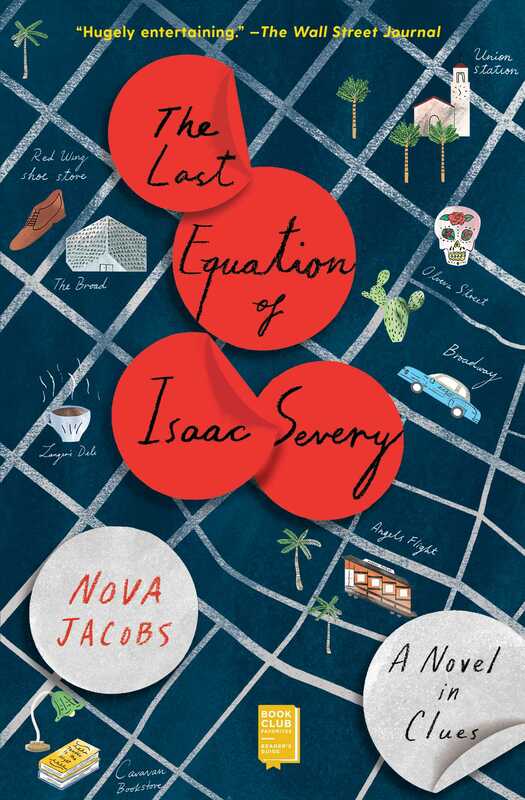 This reading group guide for The Last Equation of Isaac Severy includes an introduction, discussion questions, ideas for enhancing your book club, and a Q&A with author Nova Jacobs. The suggested questions are intended to help your reading group find new and interesting angles and topics for your discussion. We hope that these ideas will enrich your conversation and increase your enjoyment of the book. Just days after mathematician and family patriarch Isaac Severy dies of an apparent suicide, his adopted granddaughter, Hazel, receives a letter from him. In it, Isaac alludes to a secretive organization that seeks his final equation—the culmination of his life’s work—and charges Hazel with safely delivering it to a trusted colleague. But first, she must find where the equation is hidden—and why it’s so vitally important. When Hazel realizes that she’s not the only one seeking the equation, she learns that its implications have potentially deadly consequences for the extended Severy family, a group of dysfunctional geniuses unmoored by the sudden death of their patriarch. Now, Hazel must unravel a series of confounding clues hidden by Isaac, drawing her ever closer to his mathematical bombshell—and forcing her to rely on those who may be less than trustworthy. 1. This novel is equal parts family drama, literary mystery, and suspense thriller. Which element of this genre mash-up did you most enjoy, and why? 2. Contemplate the Pierre-Simon Laplace quotation that opens the novel, especially in the context of the exploration of predetermination at the center of the story. How would “such an intelligence” (in other words, a predictive power that eradicates uncertainty) be a blessing, and in what ways would it be a curse? Was this “intelligence” a burden or a gift for Isaac Severy himself? 3. Familial expectations and pressures are the lens through which we meet most of the main characters in the opening funeral scene of the novel, especially in Philip’s introductory chapter. How did this inform your initial impression of the family dynamics of the Severy clan? 4. Isaac’s passing leaves a different void in the life of each character. Whom do you think feels this loss most keenly? Who plays a similar role as patriarch (or matriarch) in your own family? 5. Raspanti, the ultimate inheritor of Isaac’s equation at the novel’s end, introduces the idea of genieschultern (“on the shoulders of genius”) when discussing the value inherent in Isaac’s equation. This concept—an allusion to Sir Isaac Newton’s quote, “If I have seen further, it is by standing upon the shoulders of giants”—suggests that if the equation is not used for its predictive abilities, it can serve as the seed for other types of equations. Do you think that the equation should have been destroyed? What are the risks of the “shoulders of genius” concept, and what are the potential benefits? 6. In a rare conversation between Paige and Hazel, the estranged Severy aunt says to Hazel, “Your generation could stand to live in the pursuit a bit more. You’re all rushed to get to the end. To succeed. […] It’s an empty way to live, in constant pursuit of the trophy.” Dissect this philosophy; do you agree or disagree? 7. Describing Isaac’s equation, Nellie asks: “Can you think of anything more exhilarating than the realization that the future is, in fact, knowable?” Would you find clairvoyance “exhilarating”? If you could use a predictive equation akin to Isaac’s formula to foresee only one type of phenomenon, what would it be, and why? 8. The dynamics at play in the Severy clan are complicated to say the least. How do you reconcile Isaac’s cruelty to Philip (or perhaps, Philip’s perception of intense judgment and derision from Isaac) with the kindness that Isaac shows to Hazel and Gregory? 9. How did you react to the revelation of Gregory’s murderous double life? Was there a moment in the novel (prior to the big reveal) when you sensed that Gregory could be capable of this level of duplicity and brutality? Do you understand, or sympathize with, the motivations behind his vigilante killings? 10. Throughout the novel, secrets of every variety are revealed about each character—affairs, betrayals, shocking backstories. Which character’s secret surprised you the most, and why? 11. What was your reaction to the revelation of five-year-old Drew’s role in Isaac’s sprawling mathematical mystery? Did you ever sense that Drew would play a greater role in the novel? 12. In your opinion, who is ultimately the most tragic character in the novel, and why? Which character(s) do you believe emerge redeemed, and which do not? 13. The author has a background in screenwriting; what scene (or scenes) in particular could you see playing out on screen, or felt especially cinematic? 14. Throughout the novel, the author explores the concept of predetermination. Ultimately, Isaac’s equation proves fallible when Philip survives his suicide attempt. What do you think of this outcome? 15. Consider the Tom Stoppard quotation that opens Part Three: “The unpredictable and the predetermined unfold together to make everything the way it is.” This perspective merges these two divergent concepts to explain the way of the world. What are your thoughts on this world view? What moments in the novel (or, to take the question a step further, what moments in your own life) represent “the unpredictable and the predetermined unfold[ing] together”? 2. One of the main clues that Isaac Severy leaves behind is found hidden in a copy of F. Scott Fitzgerald’s Tender is the Night. Read this classic story in tandem with The Last Equation of Isaac Severy to deepen your discussion of the literary mystery at the heart of Nova Jacobs’s novel. 3. In many ways, the peculiar Severy clan recalls the dysfunctional Tenenbaums, the family at the center of the beloved Wes Anderson film from 2001. Precede your book club meeting with a screening of The Royal Tenenbaums, and have fun identifying the parallels between the two families, as well as what distinguishes them from one another. 4. Cast the movie version! Ask each member of your book club to pick known actors to take on the roles of the novel’s main characters. Bring images to share, and cast the cinematic adaptation as a group! 5. Hide the time and location of your book club meeting to discuss The Last Equation of Isaac Severy in an anagram, equation, or puzzle—see how many book club members can crack the code! Given your background as an LA–based screenwriter, what made you decide to tackle this particular story as a novel rather than a screenplay? What about this story and these characters felt better suited to a novel than a film or television series? I’d love to say that my thought process on novel versus screenplay was as considered as the phrasing of this question, but in truth my path to writing a novel was messy and confusing. At the time, I’d just had a script development project fall through and—coupled with the financial crash and my getting laid off from a copywriting position—I was feeling a general lack of control over my life. Besides wondering how long I could continue to call myself a screenwriter, I craved a project over which I had total creative command. The beauty of a novel is that it doesn’t need producers or exorbitant financial backing to exist; when the writing is done, the thing is complete, not just as a story, but also as an object you can hold in your hands. The desire to write a book came first, followed by the story, and I was pleasantly surprised to learn what an immensely freeing process it was. Screenwriting, by comparison, is much more hemmed in by structure, brevity, and formatting. I don’t know that the Severys would have sprung to life were I working in any other medium. Isaac Severy’s predictive equation could have been applied to any phenomenon. In fact, we are initially led to believe that his work was centered on predicting traffic patterns. What drew you to the idea of using mathematics to predict the dark subject matter of murders and suicides—intentional deaths? I love how The New York Times Book Review’s crime critic, Marilyn Stasio, talks about what she calls “normal” novels: “I keep saying ‘where’s the body? Kill someone . . . Let’s move this along.’” I wouldn’t go that far myself—my tastes are more varied—but I’ve always been drawn to mysteries and thrillers, which usually require a dead body somewhere to be of any interest. Apart from my natural tendency toward the morbid, I was intrigued by the LAPD’s crime forecasting algorithm, which I’d just begun to read about around the time I was planning my novel. Besides finding impersonal, computerized law enforcement pretty terrifying (mathematician Cathy O’Neil is terrific on this topic), it got me thinking: what if this kind of forecasting were unerringly accurate? And what if one were able to narrow this type of prediction to murder? Once I had underpinned this idea with chaos theory, I just ran with it. The way some families revere athleticism or perhaps artistic endeavors, this family holds left-brained intellectualism in the highest regard. How did this idea of the “hereditary monarchy [of] true brilliance” first originate in your mind? The phrase originated entirely as a way for P. Booth Lyons to get under Philip’s skin, though it is intended as flattery. There was an early passage that I’ve since removed for the sake of pacing, in which Philip considers his academically anemic children, and how the Severy’s intellectual lineage could be wiped out in a single generation, like the Romanov dynasty: If brilliance was a hereditary monarchy, then Philip supposed there was always the danger of a coup, in which an entire bloodline could be hauled down to the basement in the middle of the night, Red Army style, lined up and shot. 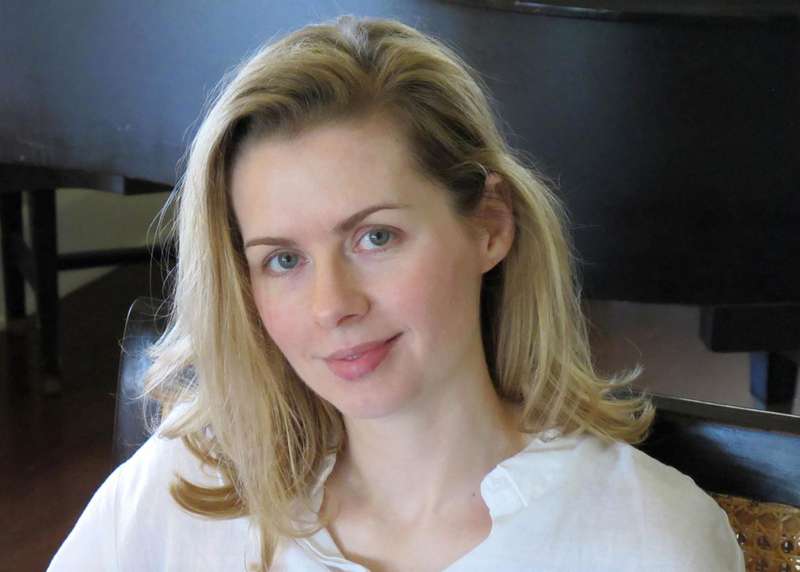 What drew you to mathematics as the subject matter to explore in your debut novel? I found my way to mathematics through the back door of theoretical physics, which has long been a fascination of mine. I credit my dad for instilling this interest in me at a young age; he went through a phase of reading physics books, and then imparting lessons to me on Schrödinger’s cat, the collapse of the wave function, or whatever he happened to be studying at the time. My dad was also my third-grade teacher at a private school in Flagstaff, Arizona, where one day he taught a lesson on Einstein’s theories of special and general relativity. You’d think this would be over the heads of a bunch of eight- and nine-year-olds, but the delightful thing about Einstein’s theories is that they are so visual—his thought experiments in particular involve no mathematical talent to understand them, just a willingness to accept the counterintuitive and bizarre. Aside from my being dazzled by the properties of light, gravity, and space-time, I couldn’t get over the fact that there was a man called Albert Einstein who had done all this stuff for a living, as his actual job. My fascination with theoretical physicists (and later mathematicians) as characters has stuck around. As much as I love a good thought experiment, I have a brain stuck squarely in the humanities. Like Hazel, I never got past pre-Calculus in high school, and to be frank, naked data and numbers on a page bore me. I actually had these bizarre fantasies while writing my novel that I would one day be unmasked as a fraud—as if someone at a future book signing was going to leap out at me and demand I solve a differential equation on the spot. This was, of course, the unhelpful part of my brain telling me that I had no qualifications in the subject and what the hell was I doing? I didn’t always know what I was doing, but I’m glad I kept at it. During all this, I kept returning to the question of who mathematicians and physicists (particularly string theorists) are at heart: men and women sitting alone in a room, puzzling through how the universe outside the room works. I was so entranced by this idea, but it took longer than I care to admit to understand why it probably captivated me: Isn’t this the perfect analog for what writers do? Do we not spend most of our time inside a room, putting symbols to a page, trying to make sense of the world outside? The mathematical concepts and puzzles presented in this novel are extremely complex. How did you research the math and science components of the story? We’re fortunate to live in a time of such stellar science writing. My own reading included Brian Greene, John Gribbin, Michio Kaku, Lisa Randall, Sean Carroll, Graham Farmelo, Richard Feynman; and on the mathematics front, James Gleick, John Derbyshire, Ian Stewart, and a wonderful little book by G.H. Hardy called A Mathematician’s Apology. I’m also lucky to have a historian father-in-law who put me in touch with one of his former students, Mordechai Feingold, who teaches History of Science at Caltech. Feingold steered me in the direction of more arcane reading than what I was likely to find on the science shelf at the bookstore. After I felt sufficiently armed, I convinced a handful of mathematicians and physicists whom I admired to sit down with me for informal chats, which included a couple of lunches at Caltech’s Athenaeum club. Taking my ideas out for a spin with scientists I’d only read about up to that point was some of the most fun I’ve had. A few were entertainingly blunt about certain facets of my story. “That would never happen” is something I heard more than once, usually delivered with a laugh or amused shrug. In the interest of grounding the more fantastic aspects of my story in reality, some were kind enough to let me pester them with follow-up questions during the writing process. The foster siblings at the novel’s center—Hazel and Gregory—suffered unspeakable cruelty at the hands of their foster parents, especially Tom, which has serious consequences on Gregory’s behavior in the present-day narrative. How did you develop this shocking and tragic backstory? What type of research did you have to conduct to understand this level of trauma? It’s not always easy to pinpoint where storylines come from, beyond some mysterious region of the subconscious. That said, I researched the history of child welfare in Los Angeles County, including the history of MacLaren Hall—where Hazel and Gregory would have spent their early years—and the abuses that went on there before it was finally shut down in 2003. I was fortunate to have now-retired LAPD detective Vincent Neglia from the Juvenile Protection Unit walk me through his general day-to-day, which gave me a sense for the sorts of cases that would come across his desk and the psychological stress this type of profession would bring with it. As Neglia pointed out, the mistreatment of children knows no particular neighborhood or economic class. This was never far from my mind as I tried to work through how certain members of a privileged, educated family such as the Severys could be capable of cruelty to children—both the overt, illegal kind (as in the case of Tom) and the subtler, deceptive variety (as is on display among other members of the family). In the early pages of Chapter 1, Hazel reflects that, “in a mostly unstable life, books had been the only reliable refuge she had known.” What role do books play in your life? I was one of those kids who had a flashlight under the covers far past bedtime so that I could finish just one more chapter of Nancy Drew or C. S. Lewis, and later, Agatha Christie or Stephen King. Apart from the classics assigned in school and the odd Margaret Atwood, my choices were not particularly literary—I tore through a lot of mystery and suspense. My parents actually forbade me from reading Stephen King, so I had to borrow those books from the library on the sly and hide them in creative places around my room. The fact that they thought these novels might be a threat to my development strikes me as quaint now (and if my parents are reading this, they are just now discovering my treachery!). I guess that’s my roundabout way of addressing the question. Books were something for which I was willing to be sneaky and risk reprimand—and still would if it ever came to it. Your novel encompasses three distinct storylines. How did you decide to tell your story in this way as opposed to from one point of view? I chose the structure on instinct, taking the risk that if it failed, I’d have to try another approach. But mysteries with either shifting points of view or multiple narrators carry a certain exhilaration that I knew I wanted to replicate. The Victorian novelist Wilkie Collins is a genius with this kind of plotting. The Woman in White and The Moonstone are not concise by any means, yet I find them as page-turning as anything modern. There’s a certain charge the reader gets from shifting voices and perspectives—turning reader into detective, gathering evidence from each character—that I felt I couldn’t generate from having a single protagonist. You grapple with big ideas in this novel: coincidence versus predetermination, chaos theory, and free will. Were you ever intimidated by the prospect of delving into such dense topics? What was your greatest challenge in doing so? If I wasn’t intimidated at the outset, it was only because I had no idea what I was getting into. The nice thing about writing a novel is that the longer you spend with it, and the more years you live inside your characters’ heads, the deeper your story becomes. I had no lofty ideas of tackling important philosophical questions, but because my characters are scientists—and would by extension entertain questions of determinism, free will, and coincidence—I discovered connections I wouldn’t have originally made. For instance, it was a happy accident to find Isaac’s and Philip’s disciplines diametrically opposed in a way that worked for that relationship. I guess the trick for my next book is to locate that kind of richness without spending six years in the writing of it. You illustrate deeply complex family dynamics with grace and authenticity in this novel. Who is the patriarch (or matriarch) of your own family? Are any of the characters or family dynamics portrayed in this novel inspired by members of your own family or friend circle, even in small part? Though I’ve no doubt scrambled some of my own family dynamics into my novel, as writers will do (past the point of recognition, one would hope), the senior members of my family would probably balk at the matriarch/patriarch label. More likely, I’ve taken the idea of the brilliant paternal figure—one who playfully, even cruelly, manipulates the unwitting main characters—from the literature of my childhood. Willy Wonka of Charlie and the Chocolate Factory comes to mind, but even more so, Sam Westing from Ellen Raskin’s The Westing Game. When I had the latter read to me in grade school during our daily story time, I am pretty sure my little head exploded. How ingenious to have a puzzle built in that young readers could solve! I reread that book enough times that I’ve probably internalized it. I didn’t realize until I was deep into my own novel how much Sam Westing there is in Isaac Severy—that is, the puzzle-mad genius who continues to control his legacy from beyond the grave. You are the recipient of an Alfred P. Sloan Foundation grant for promoting science in film. Why is this an important mission for you? I think of it less as a mission than my natural attraction to the intersection of science and art. The merging of left-brain/right-brain worlds has long felt like a creatively fertile area for me; or, to put it another way, it’s a lot of fun to write intensely brainy characters who act in fanciful, illogical—and frankly dumb—ways. The right-brain/left-brain duality is a simplification, of course. During my research, the theme of scientific creativity came up quite a bit. Many mathematicians and physicists will tell you that their discipline requires not just the gift of logic, but also a great deal of imagination. The grand scientific leaps of Albert Einstein and the first quantum physicists—and later the string theorists—required an enormous amount of creative vision. This certainly felt like an underexplored area to me. I’m also drawn to a subset of science fiction that is not exactly “sci-fi,” but rather fiction about scientists, with its feet planted more in reality than, say, Dune or Blade Runner. It just happens that my interest aligned with the Alfred P. Sloan Foundation, whose film grants promote enriching depictions of science and scientists. They have generous grant programs for film students and filmmakers, and I was thrilled to receive one in grad school. Besides that, we live in an age where scientific fact is, sadly, cast in a subjective, political light. I don’t pretend that my stories will change this, but I hope that I can contribute in my own way to science and scientists being considered not somewhere outside mainstream culture, but as a part of art, literature, and generally being alive. Though you’re a writer by vocation, this is your debut novel. What’s your next writing project? And if the next project in the queue isn’t a novel, do you have ideas for your next work of narrative fiction? I was intensely secretive about my first novel from the start, not telling anyone outside my family and a few close friends that I was writing the first draft. Even then, I was vague about the story for fear it would fall like a soufflé. I’m in the research phase for my next novel—one that may require some fieldwork away from my desk—so my instinct is to protect the poor thing while it’s still defenseless and vulnerable to attack. Sorry to be coy.